Not too long after we got married we decided that we wanted to have kids. We knew that kids were going to be a big part of our lives and wanted to get that part started quickly. Eight months after our wedding we found out we were pregnant with our first baby! It took us four months to get pregnant, and I didn’t think too much about it. It was a pretty uneventful pregnancy. In the last two weeks I struggled with severe edema and high blood pressure. They began to worry about preeclampsia and I was monitored every other day until I went into labor…26 hours of labor to be exact! After all the hard work we had a brand new baby boy! I was thrilled to start this part of my life. It was about two months later when I realized that the large amount of pregnancy weight I had put on (on top of being overweight to start) had landed me back around 165 and I was standing for one of my best friends in her wedding! I bought the dress when I was about five months pregnant thinking that would help me fit into it when I was two months post delivery. LOL. Not the case. It took two people, a lot of holding my breath and praying – lots of praying – to squeeze into that dress! I did, but in my head I looked like a pig in a blanket. A fancy black bridesmaid blanket! Nonetheless, it was my first experience of feeling really bad about the effects of pregnancy weight gain. It was about four months later that I finally gave in and joined Weight Watchers. I started that journey at 162 pounds. I did have weight loss success with this process, but not the kind I like. Although the weight came off, it was a long hard journey and I hated counting “points”. Even though I eventually got down to 123, if I even thought of eating “normal” or not counting my points I would easily and quickly put the weight back on. That is were I was come the late Fall of 2008. We had moved to Minnesota from Michigan the summer before and had really been wanted to start trying for another baby. 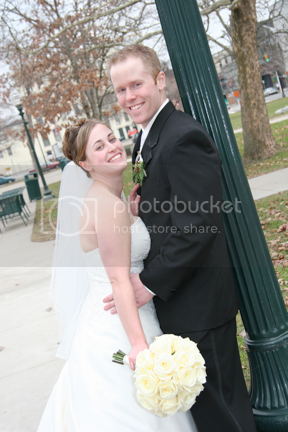 So in November of 2008 after we had finally sold our house in Michigan, we started trying. I had no idea at the time what was in store for me, or the emotions we would have to go through to have our second kid. I did get pregnant the first try, but ended up losing that pregnancy at 6 weeks. We were very sad, but thought that it was normal. We always heard that miscarriages are very common. So we decided to chug on! By this point I had already gained 10 lbs back of the weight I had lost (not “counting points” and being sad about the pregnancy loss didn’t help). We again got pregnant in December of 2008! We were thrilled. Yet something seem very off to me. I didn’t feel pregnant. There was no nausea, no tiredness, no moodiness. Then at the end of January 2009 I started to spot and went in for an ultrasound where they told Mike and I that there was no baby and I was going to miscarry at 10 weeks along. We were devastated. We were just getting ready to start sharing the happy news and our hopes were dashed. Again, I put on more weight, and we waited a month before we started trying again. Finally in May of 2009 we did get pregnant. This time it stuck! But I was weighed down constantly with worry about losing the baby for the first 16 weeks. Just when we thought we were out of the woods and the pregnancy was going well, I had to take my usual Gestational Diabetes test at 28 weeks. I didn’t have gestational diabetes with my first pregnancy, so I thought it wouldn’t be a problem this time. Boy was I wrong. I failed my 1 hour glucose test, and then really, really failed my 3 hour test. My 2 hour number was way over 200! So for the rest of that pregnancy I stuck my finger four times a day to check my blood sugar levels. At first my “dietitian” made sure to tell me to eat according to the food pyramid, making sure to get 2-3 “carb counts” (a carb count = 15 grams of carbs) with each meal and 2 carb counts with each snack! So I was taking in upwards of 195 g of carbs everyday. And I was diabetic! This was not working. Even though she told me that carbs will raise my blood sugar here I was being told to eat a ton of them! I realized this and as my numbers climbed on my daily checks I started to fear them putting me on insulin. This was the last thing I wanted. If that happened I would have to stick myself with a needle each day and I would have to leave my midwife care for that of a doctor. So I started to take measures into my own hands. Turns out that decision would change mine and my family’s life forever! 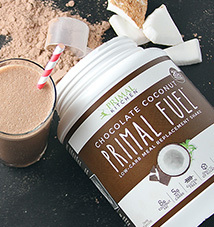 We didn’t know that I had started to eat Primal, but that is what I had to do to keep my blood sugar low and even. High fat, high protein and low carb! It worked. My blood sugar levels evened out and stayed low (I even lost 6 lbs the first week, my midwife was not happy, but it must have been excess weight my body didn’t need) and I kept the dietitian and midwife happy. I never told them what I was eating. They even had me taking ketosis pee tests every other day, and I always told them they were normal, even though I was in ketosis half the time. I felt great! Even though I had to stick my finger all the time, everything seem to be normal when I ate that way and I felt energetic and happy. Around this time my husband had started doing P90X (which was brutal and he hasn’t done it since). 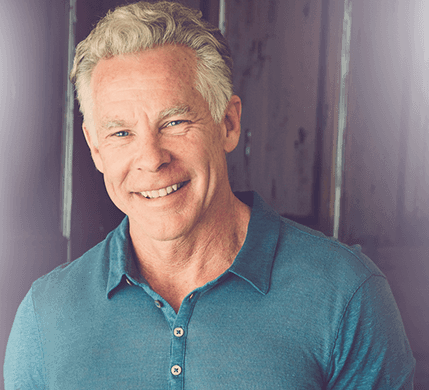 In watching those DVDs he was introduced to someone by the name of Mark Sisson. And that started it all…Mike ended up buying the Primal Blueprint and it has helped us change our lives for the better. We realized that the way I was eating was Primal indeed. After the induced labor (they wouldn’t let me go past my due date with the gestational diabetes) and delivery of my second son I did have some more weight to lose. For some odd reason I went back to Weight Watchers. Conventional wisdom is hard to break down. After a few months of that and not losing much weight, my darling husband finally convinced me that we needed to go back to how we had been eating. By the Fall of 2010, we had started to make Primal changes in our life. We had always wanted to eat a clean whole foods diet and we were making that change. It was slow at first but we were making good changes and losing weight more effortlessly than ever before. 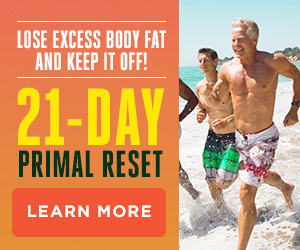 After doing a Primal 30-day challenge for ourselves in January 2011 we really started to take control over what we were eating and how we were living our lives. 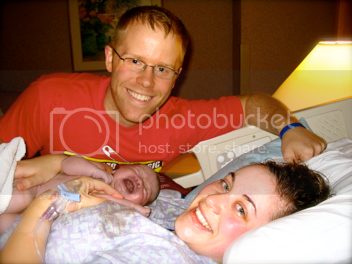 In March of 2011 we decided we must be crazy…so why not try of a third kid! As I thought about what that meant I began to fear the loss possibilities and all the problems we went through with the second pregnancy. So we decided to start trying a little “earlier” thinking that it might take a while like the last time. Boy were we wrong! Little did we know that the positive changes we had made in our lives would affect our fertility so very much. We got pregnant the very first try! And it stuck, much to our happy surprise. I am now 21 weeks pregnant with my third baby! Easy easy! I was tested last week for gestational diabetes since my likelihood of getting it again after having it once was very high. Well my midwife called me yesterday with the news. Not only had I passed the 2 hour glucose test…I CRUSHED IT!!! Insert happy dance here! I will take the glucose test again at 28 weeks to make sure it doesn’t onset later, but I have high hopes now. 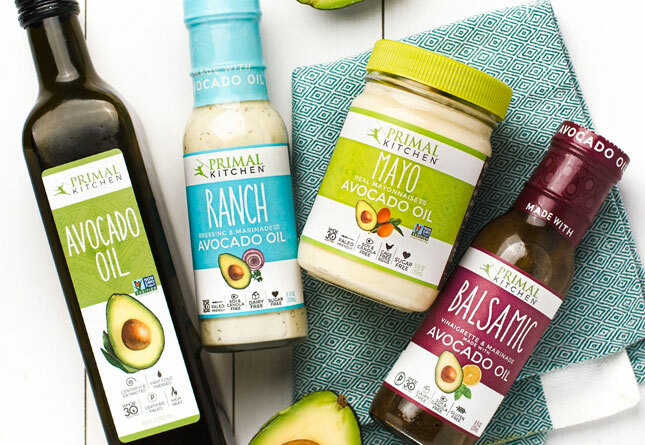 The changes we have made by eating Primal have had so many great benefits, from weight loss, to energy, happiness and of course the ease of getting pregnant and the healthy pregnancy I am enjoying! My story doesn’t end here. Baby #3 is due December 13, 2011. I will have some weight to lose, but this time around I am not worried about it. I know that through my eating and way of life now the weight will come off easily. Primal has changed the way I look at my life, from normal everyday to the joys of having kids. It really has made things easier. We are all happier, my husband has lost weight and feels great, and my little Primal boys love their eggs! I am so excited to share this update. I am 29 weeks pregnant today and as I told your readers in my success story, I had passed my 20 week gestational diabetes test with flying colors. Well, I had to take the 2 hour blood glucose test again at 28 weeks (last week) to make sure that the diabetes did not onset later, like it does with other GD pregnancies. I am happy happy happy to report that I passed yet again with flying colors!! I am so excited!! I have gotten a lot of comments on twitter and facebook from other women, saying they were inspired by my results and fulling intend on going or staying Primal to help with their fertility issues, and with hopes to prevent gestational diabetes themselves!! Cant’ wait to share more good news in about 11 weeks!!! Will it be a Baby Grok or Grokette?? I am thrilled to up date my Success story here on MDA!! This past December Mike and I welcomed our first baby girl into our Primal Family!!! After two little boys we just couldn’t believe that we were now the parents to a girl!! She is now almost 4 months old we are all doing so wonderfully! Mike and I have been working very hard for the past two months getting us back into living a vibrant Primal life!! Pregnancy gets us almost every time with unneeded weight gain, but as I have said before I don’t worry about it, because we know how to reset and get back on track. My last weigh in before I had our baby girl I was 183!! Yikes! At the start of the New Year we hopped on the scale and took our measurements….I was down to 160.2! I took a pic of that, just to have another “BEFORE” pic to keep me motivated!! Notice the sarcastic thumbs up! Grok On Kids!!! Grok On!! We are blessed to be a part of the Primal Blueprint Family! Thanks!! It was fun to write this story, and I am so happy to share with the all the Primal friends! Joanne- what a great story. I was also on weight watchers for many years and I also had 2 miscarriages before a successful pregnancy. Your story gives me hope that the next time around will be easier! There is soooo much hope. By changing the way I ate, I took control over reprograming my body and that made the fertility better. The miscarriage loss can be hard and sometimes we don’t know why it happens, but changing you body to healthy can take a step forward. I wish you tons of baby dust luck!! So glad that you were able to get pregnant again quickly and everything is going fine so far. My husband and I are still struggling to have our first. I’ve had 3 m/c so far and sigh, it’s devastating to say the least. Anyway, congrats on your new healthy life and your beautiful growing family. Keep up with the healthy changes and things can turned around for you. Miscarriages are very devastating and I wouldn’t wish them on anyone. I hope that you find success soon! What a great story! Congratulations on your coming baby and I hope the rest of the pregnancy goes as smoothly as the beginning! 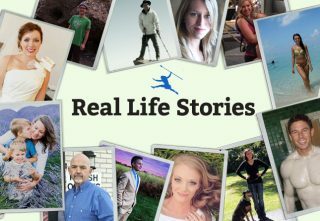 I’m amazed at the common theme in so many of these testimonials–how people just get lucky and trip over the primal lifestyle. I’m so glad the word is spreading so that finding this great information keeps getting easier. I love to hear stories of how people stumble upon the Paleo diet. It’s awesome how it changes lives so dramatically. Way to go! By being a shorter lady, such as your self, it gives me great mconfidence that this is the way to go. Woot! And you’re using a midwife… awesome. I really like the stories about women losing weight eating primal, because I am one! lol Thanks for sharing! Joanne – congrats on your baby and lifestyle change. You and your DH look so healthy and happy. Congratulations, Joanne, you and your young family are looking great! Keep up the good work! Thanks for sharing your story, I really enjoyed it. Sometimes, we have to go back to go forward, down to go up. I love being Primal, and I love this community. AND hey, I’m a fellow Michigander (though I now reside elsewhere) I grew up in a place called Gladwin about an hours drive North of Bay City. Awesome!! I grew up in Escanaba!! No Way! My family is from Escanaba and Gladstone! Most of them are still there although I live in Seattle now….Congrats on the new baby on the way! So cool, yeah my Mom and Step Dad, & Grandparents live in Esky and my Dad, Step mom and grandpa live in Gladstone!! Small world!! At the end of the day, I guess it is a small world. Joanne, congratulations on your many successes! Nothing is more primal than raising a family, and there is no better motivation to take proper care of yourself. Our world needs many more moms like you. That is such a nice thing to say!! Thank You!! My wife and I went through hell with two pregnancies following the medical establishment’s idiotic advice. After the first c-section due to gestational diabetes she was left infertile, which was rectified with surgery. After the second child she was unable to have any more. We’re lucky to have two beautiful girls, who now eat primal like their parents do, but the experience left me with a very bad taste in my mouth. I am so very sorry! I really try to encourage anyone going through pregnancies to take things into their own hands. Its hard the first time around with conventional wisdom at large, the advice especially when dealing with Gestational Diabetes is stupid in my mind, which is why I told a lot of half truths to my care team during the last pregnancy! Many blessing to your wonderful Primal family! Joanne, I had my wife read this when I got home. While she was frustrated to read this, given our experience, we are both happy to know that our daughter will know better, and won’t have to go through the experience that my wife and her mother both suffered through. My wife shared that our little daughter is afraid to have children because of what happened to my wife. We’ll be reading your story to both our daughters to assure them that they can have happy, healthy, successful pregnancies folling the Primal Blueprint. We thank you for sharing your story. I can’t imagine the frustrartion you both have gone through. But the hopes for your daughters is beautiful!! I am so thankful that my story can help you in some way! All my best to your family! What a beautiful and happy story! Thank you for sharing. You’ll have to give us an update when the new baby arrives, I can’t wait to hear how well it went. I will for for sure!! You and your family are radiantly beautiful. It’s wonderful that you found a way to nourishes you and your growing baby that also nourishes your growing family. “nourish” (part of an infinitive, not “nourishes” (present tense of the verb). Congrats on your happy and healthy family! Thank you!! Its all about eating and being as healthy as possible, and really being an active role in the pregnancy care team!! I also highly recommend Midwife care! As someone who struggled with fertility and went the conventional route (fertility treatment) and only found paleo/primal when it was too late to add to my family, I am so pleased to hear other women are being successful naturally. I hope you have a wonderful rest of your pregnancy. And by the way, I have yet to hear a positive story concerning a ‘dietician’ during pregnancy. My own experience was totally useless! My dietician (although she didn’t know any better) was a joke!! But she is certified through the American Diabetes Association….HA HA…..look up who are the many $ contributors to the ADA….its sad really. I am so glad my story can help you!! That is exactly why I wrote it!! Its the best way to eat!! Good Luck! I have a bunch of recipes on my blog too, if you ever need something new to try! I see many parallels between my story and yours. Wishing you many successes in the future! Thank you so much for your story. It’s such a relief to know that primal eating is safe during pregnancy since my endo has tried to convince me otherwise. I have a similar story to you. During my last pregnancy I was diagnosed with gestational diabetes and unknowingly started eating primally while my OB and dietician started fretting about how I was losing a few pounds and not eating enough carbs. Sadly however, the gestational never “went away” and after delivering I was diagnosed with full blown Type II. Whenever eating very low carb/primal I maintain absolutely normal blood sugars. (Admittedly, however, I have had several PMS fueled excursions that I’m not proud of). Anyway, I’m planning on trying again for another child in the next month or so. My endo insist that I will indeed need to be on insulin. He also insists that I must eat a 150 g of carbs a day to maintain a healthy pregnancy. He’s also said (and I’ve read) that ketones are detrimental to a growing fetus. It’s all BULL as far as I’m concerned. I’ll be following your lead if/when I get pregnant!!! That might help you talk to your doctor. Also suggest to your endo that he reads Good Calories, Bad Calories by Gary Taubes! 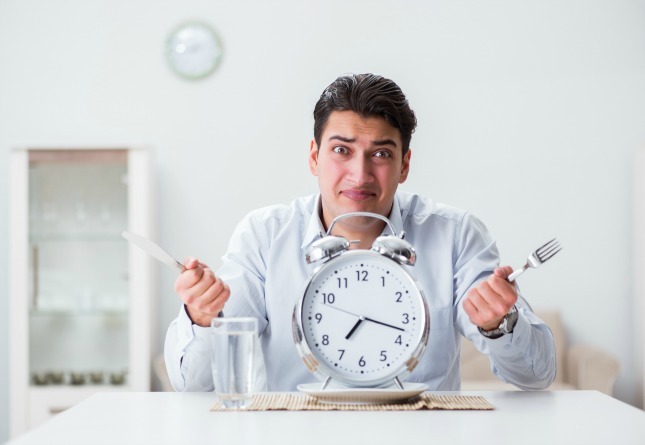 Good Luck….this is not professional advice by any means, but when my dietitian and care team started to worry about me eating so low carb, I just stopped telling them what I was eating. And ketosis never seems to bother my pregnancy at all. It’s such a relief to know that primal eating is safe during pregnancy since my endo has tried to convince me otherwise. LOL. What do they think women were eating, pregnant or not, during the Paleolithic? Foods that hadn’t been invented yet? I also ate a low-carb diet while I was pregnant, after buying my own glucose meter and discovering my blood sugar levels were high after eating carbs. 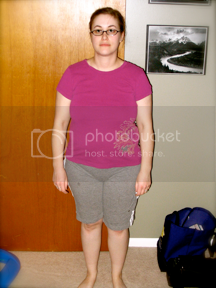 I also lost 3-6 lbs after I changed diets, then gained wait more slowly. I found that around 22 weeks, my blood sugar levels became even more sensitive to carbs, so I started taking a tablespoon of coconut oil 4 times a day, when I ate. That took the edge off of cravings, and lowered blood sugar levels by ~10 points. It also encourages ketosis, so every time my midwife checked my urine, there were ketones. For very occasional “cheats,” I took alpha-lipoic acid after, and that also helped to lower my blood sugar, in addition to coconut oil. I had a healthy baby girl 3 weeks ago! Congrats on your third blessing! congratulations! I work in Labor and Delivery at the hospital and am always amazed at what the nutritionists serve the ladies who are diabetic… really? waffles and syrup for breakfast?? Good job taking responsibility for your health- have a GREAT pregnancy! Joanne, great story! Congratulations on #3. I have 8 kids and dealt with gestational diabetes with the last three (I’m not overweight and don’t have any of the other risk factors other than being an old fart so I attribute it to the stress pregnancy puts on the body). With this last baby, I did what you did and cut out pretty much all carbs except for green vegetables. Like you, I went into ketosis and my midwife didn’t like that much so I was interested to see that you went thru it as well and lived to tell the tale. : ) Good luck with #3, hope your labor is quick and painless! God bless you! What an inspirational story! I also found that eating high fat, moderate protein and low carb helped with my health issues. I didn’t even know it was called paleo! haha! You give me hope that I too will be able to get pregnant too. I know that eating paleo is the best way to nourish my body. Hope everything continues to go smoothly with your pregnancy! God bless! Same here. I have PCOS and the Dr. said I couldn’t get pregnant. Well, I did, while eating a paleo-type diet. I didn’t read about the low-carb effect until years later. Good for you! What an awesome story! And hurray for midwives! 🙂 I’m going to be having my third midwife-attended homebirth this coming February…. once you’ve had a midwife, there is no going back to OB care. Ever. Good luck with your birth!!! Great to see more Primal Pregnancy stories! Thanks Sondra! Your article on Primal Toad’s blog was great!! Congratulations! What a wonderful and inspiring story. It is great to hear that your family is growing and healthy. 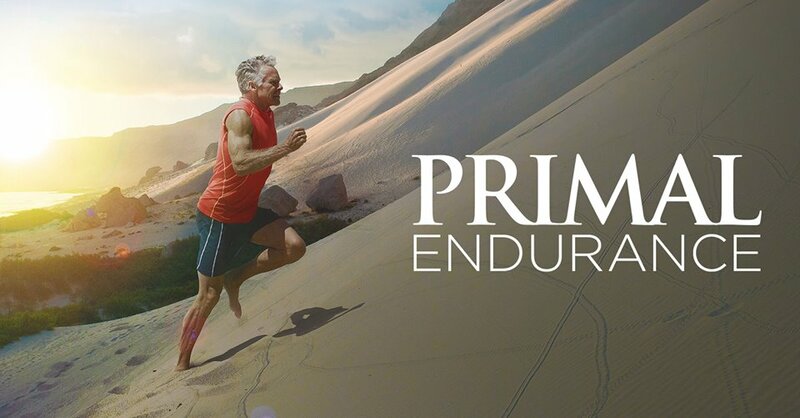 Primal is such a great lifestyle and, apparently, a blessing to your family. Best wishes for a continuously happy and healthy pregnancy and delivery! My husband and I are trying for our 2nd child. I’m wondering if after switching to a primal diet if anyone else besides me started having very light periods. I have a regular but very very light period every month. Am I still able to conceive?? Joanne, was your cycle any different when you were trying for #3?? Is it possible you were actually having overly-heavy periods before, and now you’re just normal/healthy? From all the anecdotal evidence it seems that generally following a primal lifestyle makes women healthier and more fertile, not the reverse. This is a very common experience after going Primal. Often, it can take 3-6 months for your hormones to balance out after giving your body good nutrition. I agree that Primal women will become more fertile, from what I’ve seen on the forum. After I started eating Primal, my period got very regular and yes some what lighter. But I was always 27-28 days on the nose, where before Primal my cycles were super heavy and could start anywhere from 27 to 34 days….it was annoying to say the least. I think the regular-ness of your periods is more important that whether its light or heavy. 🙂 Good Luck TTC!! It’s normal. Periods that last 7 days are not normal. On a primal diet they should last 2-3 days, gone by the 4th day, and should be much lighter. Hooray for primal families! I hope to have kids one day (for now – school!) and you’re a great example of how primal living just WORKS in a family dynamic. Congratulations! I love how you “found” primal on your own — by listening to and observing your body — and then “found” it again! 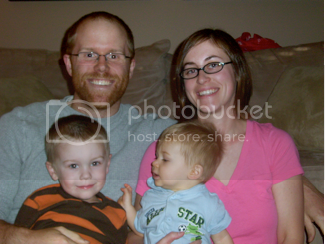 Lovely pictures of the family and I hope you continue to have an awesome pregnancy and birth! I think the fact that I did listen to my body is what made it all make sense! The Primal Blueprint book was just a great tool to expand on that all!! OMG!! That is a true success story!!! CONGRATS!!! We will not find out what we are having!! Didn’t with the first two boys….its gonna be a great surprise!! Congrats on baby girl!! Surprises are good. You must be very patient! I have to admit it’s been awesome not really gaining any weight so far. I had always been worried that having a baby would wreck my body, but now that I am primal, I don’t worry about it at all. I am worried about the glucose tolerance test though. I am worried that drinking all that sugar at once will give me a false positive because my body’s not used to it anymore. You said you passed yours? Did you feel sick?? Ask if you can skip the GTT. I’m pregnant with twins and Both the high risk OB and my midwife were ok with me checking my own BG 2 hours after eating. The OB actually thought that would give more accurate and valuable information and the midwife and I were just discussing the lack of evidence showing improved outcomes with a GTT. I did pass my 2 hour glucose test. I felt a little icky after drinking the glucose, but not horrible. Also by eating Primal you teach your body to have very EFFECTIVE insulin. So unless the baby is making your body VERY VERY insulin resistant (then you have true gestational diabetes that has nothing to do with being Primal or not) your should be just fine taking the test. You can also ask for an Hb1Ac, which looks at blood glucose levels over time. Its worth asking about. I wish I had this info over 20 years ago when I was having my kids. 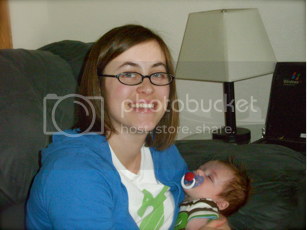 I gained a lot of weight with all three pregnancies and couldn’t get the weight of in between. It wrecks havoc on your body when you go from one pregnancy to another and you have not lost all the weight from the previous ones. With the first two babies I got pregnant in the first and second months of trying but the third time I got pregnant it took 1 1/2 years. I was 33 when I started trying and getting a little older but it didn’t make sense to me. Then I went on my very first low carb diet ever and lost 20 pounds in 6 weeks……….and got pregnant. I had since read that this happens to many people who have gone a low carb diet. I get the impression that blood sugar issues will effect fertility. And Primal is low carb so this article all makes sense. Thanks so much for the support!! I am glad you enjoy visiting my blog too!! What an inspiring story! Thank you for sharing it. I’m continually amazed and exasperated at the traditional medical nonsense that is, indeed, all driven by profits for some organization. Maddening, really. Kudos to you for taking charge of your health and not listening to the dogma! I love this site and all the people who contribute comments. 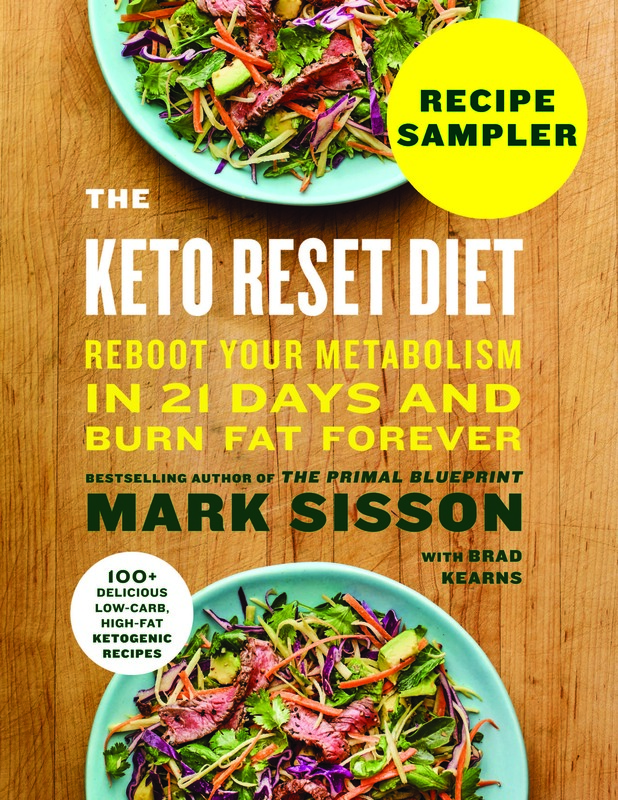 Thank you Mark Sisson for the wonderful work you do. I am proud to be Primal!! Wonderful story, although I am well past child bearing years I enjoy hearing the success that young people have using a primal lifestyle to reverse infertility concerns. Little Groks! Hmmm! all the men must be hanging out in the cave. Joanne – Obviously listening to yourself and what your body was telling you in spite of all the pressure to give in to CW has paid off. You are definitely now enjoying the fruits of your labor (Pun intended!!) Kidding aside, you’re to be congratulated for not giving in to CW, dietitians and a lot of other misguided folks and just doing what you thought was right for you. My daughter went with a midwife for her first baby at age 40! Couldn’t have been a better, smoother delivery for all concerned. I only wish I had known all this 40-50 years ago when I was experiencing the periods from hell. A little late for me now as I’ll be 67 in a few days, but I do tell any of the young gals in our family about Primal eating and to check out MDA and all the related sites. Your story and the other comments here give credence to the whole Primal thing for us gals and people are more likely to believe a whole slew of postings/testimonials than what they to perceive to be one silly old lady. All the best to your family and your new addition and thank for for your blog as well! Thank You soo very much!! The support from MDA is awesome. And thanks for visiting my blog too! Mark, thank you for including another success story from a female, a mom and a mom to be — all rolled up in one! It’s obvious that stories about Primal women are popular here on MDA and they certainly help a very large portion of our population that normally gets overlooked or stuck in CW or – worse yet – gets told that it’s “all in our heads” or it’s caused by “nerves.” Been there, done that way too many times not only as a young mom but even now at almost 67 years old. Guess what – I think I’m the one with the last laugh now! Rock on, Grokettes! You are such a cute little pregnant lady! I love it! The timing for the article is perfect for me! I’m five weeks pregnant with my third child and have been primal for about two months. Unfortunately, I had just come out of carb flu when I became pregnant so I had about a week and a half of good energy levels, but now I’m back to daily afternoon naps. 🙂 I’m looking forward to seeing how this pregnancy compares to my previous two. Great story, Joanne! I never get tired of hearing stories of success like this. Particuarly for women and moms who are claiming their bodies during and post-pregnancy. Best of luck with this pregnancy and the journey beyond. Will keep my eye on your blog!! You look fantastic and your children are so fortunate to be starting out their long lives on a primal path. Good on you! I want to add that I am also 43 years old, no fertility treatments either…! That’s awesome way to go!!! I’m so happy for you and your family, Joanne! What a great story. I have three children and if only I had known about Primal earlier! While it’s never too late to begin, your third baby will have amazing health benefits from being Primal since birth. Good luck with your pregnancy. Joanne, you look absolutely beautiful in your pregnancy pic! I have no doubt that your primal family will continue to thrive. I must congratulate you on your ability to ignore CW during your pregnancy. I had to smile when you said you lied to your dietician and your midwife about your diet. I lie to my conventional doctor all the time. It is a sorry state that we have come to today, when the CW is so obviously hurting not only our health, but the health of our children, even in utero. Thanks!! It was just easier to listen to my body and not have to try to explain myself!! But my midwife is now seeing the results of all my hard work and health changes, maybe I will make her see the light!! I enjoyed your story…..thanks for sharing. I had a midwife for both my babies. From a fellow Minnesotan. (continued! )..and that you’re “not worried about it” falling off again demonstrates that following a Primal lifestyle also gets our head in the right place..You go girl!!! Thanks for the insight you guys! Yes my periods have been exactly every 32 days on the nose. Very light, but regular! I’m gonna look forward to a positive pregnancy test, hopefully soon! Thank you for sharing this! My husband and I haven’t tried starting a family yet, but we started living/eating primal about two months ago. Well, he started 3 months ago, and once I saw how wonderful it was, I joined in! 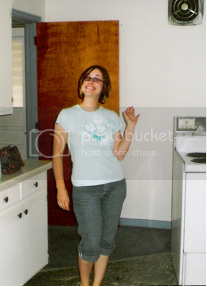 I’ve been on WW off on for the past 7 years and always had SUCH a hard time losing even a small amount of weight. I did WW again this spring and lost 2 lb. in 3 months- since our switch to this lifestyle, I’ve lost 16 and my husband’s lost over 25! I can’t believe what a difference this has made in our lives – I only wish we found it sooner! Joanne, thank you so much for sharing your story. I couldn’t help but well up with tears while reading it, as my hubby & me have been struggling with infertility for 7 years. We have also been fighting to lose weight, & even though we’ve tried to go Primal, it seems like we resort to Weight Watchers, with no success. Your story inspires me to make that switch to a Primal lifestyle! That really makes me so happy!! I wish you tons of luck!! You look great! 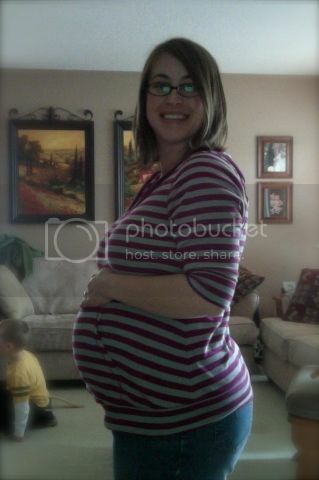 My wife is 38 weeks pregnant and following primal about 80% of the time. I don’t remember her blood glucose numbers exactly but I remember the doctors being amazed that her 2 hour number was in the 90s. Her 30 day challenge will start a couple weeks after the little one gets here and I’ll be gladly joining her. Best of luck with your pregnancy! Thanks so much!! This has been a great pregnancy!! I can’t wait to see our new little one! Good luck on your new addition too!! Best wishes, Joanne. God bless. Congratulations! I’m also pregnant (37+ weeks), and have been “primal” for the last 2 months or so, and gluten free for the entire pregnancy. I lost a couple pounds when I first cut the other grains, but my awesome midwife team wasn’t concerned (even though they are both vegetarian). Since then my weight has been increasing very slowly, but my belly keeps growing right on schedule. Compared with my last (no holds barred) pregnancy I have gained half as much weight. I also have virtually no swelling, and my BP is about 20 points lower on systolic and diastolic. Both of the last 2 issues were concerns with my previous pregnancy, especially since I was planning a homebirth (successful!). I haven’t had any protein in my urine (I still eat fruit and root veggies). Ironically all of this diet modification started with allergies that didn’t manifest until breast feeding my first child. Thanks for sharing your story, and good luck with the rest of your pregnancy and birth. That’s awesome!! So glad you are having such a wonderful pregnancy!!! Good luck with your last few weeks!! I am 32 weeks tomorrow!! Getting close and feeling great!! Congratulations, Joanne! Primal pregnancy is the way to go and I’m so glad it’s going well for you. Here’s to an easy delivery and a super healthy baby. Nothing is more primal than that. Hooray for the next generation and the greatest gift we can give them: a primal upbringing! Same over here. My wife and I started going primal after the first one was born. One year later and she’s five months pregnant! Since she’s breast feeding she never even had a period for us to start worrying about “trying” or getting on birth control! Apparently people eating primaly need to be made aware of this increased fertility! She continued losing weight until a month ago, and now she still looks great, with just a pregnant belly. 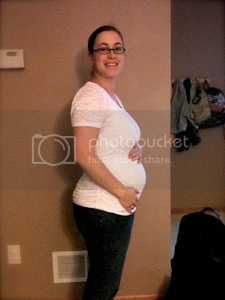 Skinnier, more energy, and happier…same as before she was pregnant! Congratulations on your pregnancy! Your due date is coming up fast! I am also pregnant and due at the end of January. I have been eating ~80% primal for over 2 years now. They told me I barely failed…I just don't think someone's who's unused to sugar can be expected to ingest 100g of pure sugar in 5 minutes without needing a little bit more time. Especially since after the 3 hour mark, I was well below the cutoff. Makes me wonder if these tests are really accurate. I guess it's possible I have GD but I won't be convinced until I see my numbers after eating my regular meals, which certainly will never include 100g of sugar in one shot. I wonder if Mark has any input into the validity of these tests? Anyhow, sorry for the long comment. I guess this has me more upset than I thought. Congrats again on your pregnancy!! That really does not look like a fail to me. Really!! Typically with the 3 hour test you have to fail two of the readings. One bad reading and the others fine would equal a passing on the test. You are right that being Primal and not eating sugar could effect your scores too. I would have a larger conversation with your Dr or Midwife. Also check out Robb Wolf’s website and search for gestational diabetes on his site, he has some great articles as well about this. WOW…what a great great story!! I’ve been eating primal since being diagnosed with GD. I know it’s the only thing that has kept my numbers down. The recommended GD is ridiculously high in carbs. Luckily, I didn’t start having ketones show up until last week (week 38), so I think it won’t be an issue for me. I’m glad I read your story. It helps me know that what I’m doing is the right thing. I plan to keep going after the baby. Congratulations on your baby!! I am currently 22 weeks pregnant with my 4th pregnancy and have been dabbling with primal on and off for about a year and half, more off than on, unfortunately. I am prepared to go full hog now though after reading so many good things about primal/paleo pregnancies and reading about the weston a. price diet. I have gained nearly 30lbs. already!!!!! and this has mostly been the motivation for my decision as I have gained 40lbs+ with each of my other pregnancies. I think I’m really needing encouragement/support for this cause my partner is much absorbed into the SAD, this hasn’t been my diet though thus far. I feel mostly like I eat a healthy diet but could use more fat (ahhhhhh so scared) and to completely cut out grains (not so scary) but hard with kidlets. Wish me luck! Thank you for sharing your story, it made me tear up because I have Poly Cystic Ovaries and we lost our first pregnancy at 5 weeks. That was only 2 months ago and I have always had to eat low carb. But since being on Primal about a month and a half, my cycles have evened out better than my metformin ever did to them. I had alot of hope for primal imporving my fertility when my cycles smoothed out, but this helped me even more. I have been so worried that if I get pregnant again I’ll have another miscarriage.